Lamar Odom Slowly Making Progress! Family By His Side! 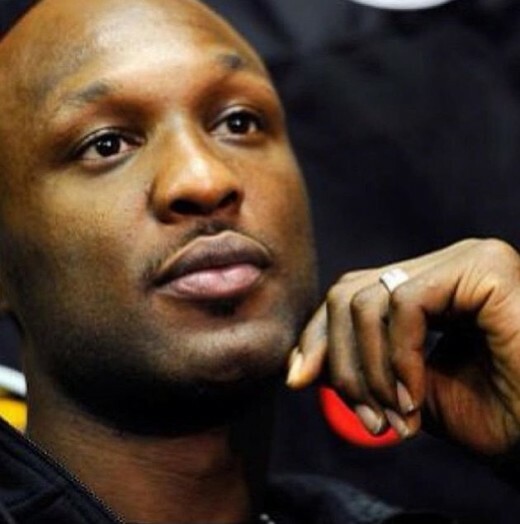 Lamar Odom is slowly progressing after waking up from a coma this past Friday! He’s breathing on his own and been able to have simple conversations. His family, including ex Khloe Kardashian has been by his side the entire time. You Gon Get This Work! You can’t mention battle rap and not include Harlem’s own, Loaded Lux. Lux talked to us about Big L, the state of New York Hip Hop, his mixtape “You Gon Get This Work” and so much more. Loaded Lux has annihilated competitors on BET’s Freestyle Friday, lyrically sparred on the underground battle rap scene, and worked with some heavy hitters in the game. Compile all his stats and you’d expect arrogance and bravado, but conversely he is extremely humble and that’s why we enjoyed our time with him so much. The MMG and Warner Brothers project of Atlanta’s ownÂ DJ Scream just released the video for ‘Hoodrich Anthem.‘ The Long, Live the Hustle album is set to release on November 20th. The ‘Hoodrich Anthem‘ features 2 Chainz, Future, Waka Flocka, Yo Gotti and Gucci Mane. Houston rapper Bun B will be stepping on campus next year. The rapper will begin teaching a course about hip-hop and religion at Rice University this spring. Bun B says the course will discuss the history of rap music and explore the “parallels and correlations between religion and hip-hop.” He tells National Public Radio, quote, “People will be surprised at how many instances there are. Just the Five-Percent Nation’s presence in hip-hop alone during the late ’80s and early ’90s – we could teach for days just on that.” Bun B is currently supporting his third studio effort, “Trill OG.” The record dropped in August, opening at number four on the Billboard 200.